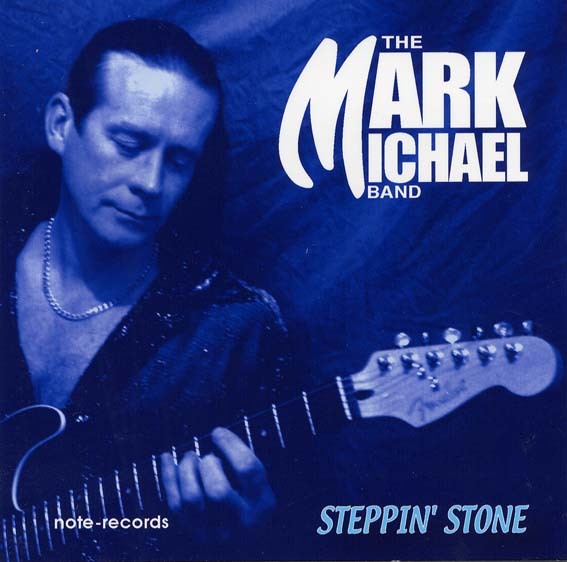 Steppin' Stone is The Mark Michael Band's first album for Note Records. 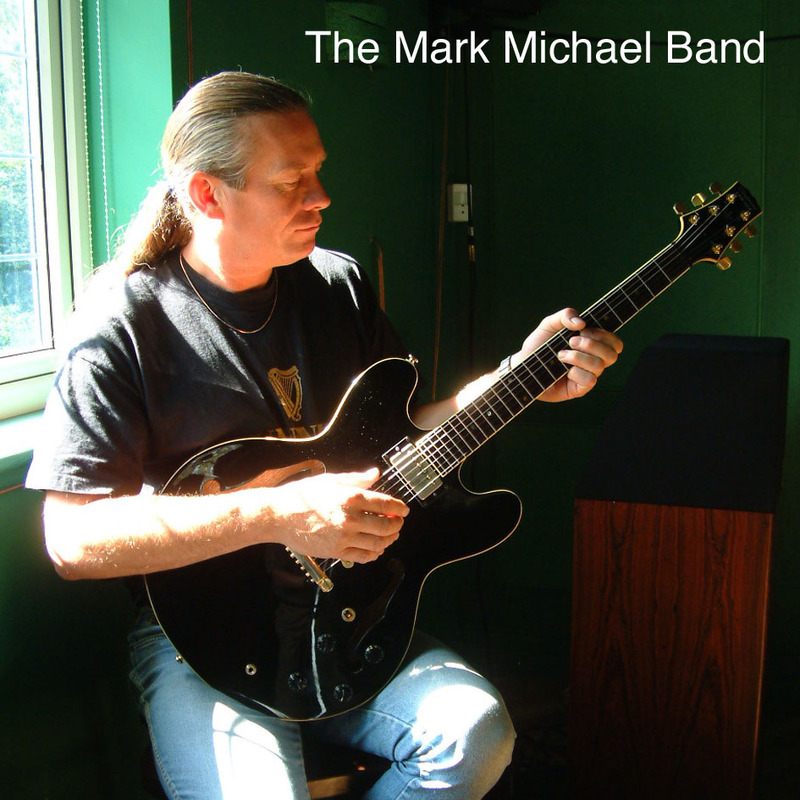 "Steppin’ Stone" is Mark’s first CD release on the Note Record label with his new outfit The Mark Michael Band. Top UK musicians Steve James. (FBI, Ray Davis,etc) join Mark for this on drums together with Stevie Stokes (Suzi Quattro, Slade and Sweet) on Bass. They are augmented for this album by the multi talented Mr Roger Cotton (Peter Greens Splinter Group) on keyboards who also produced and enginneered the album. 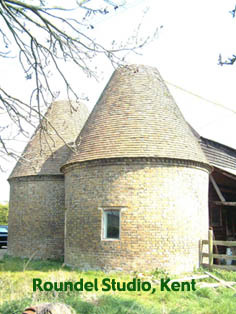 This full frequency DDD digitaly recorded album was recorded at Roger's Roundel Studios in Kent. This varied Blues-Rock album contains 13 track all but one penned by Mark, who is featured on a range of acoustic and electric guitars. The first track "Fool to Fall" a driving soulful blues with percussive organ work from Roger, The second track "It’s all Over" starts with an acoustic guitar an develops into a jazzy groove with solid bass work from Stevie. Mark's soulful vocal interpretation of Micky Baker’s "Got the Blues". is just another high light. The up-tempo "Fat Strat Boogie" features some nice work from Stevie on the drums. "Emerald Ace" is Mark’s tribute to one of his guitar heroes Rory Gallagher working a number of his song titles into the lyrics. " Perfect Love" is acoustic love song with a twist, the final track " Shades of Blue" is a smooth jazz type acoustic instrumental. This is a stunning first album from a real guitar ace, you will not be disappointed . 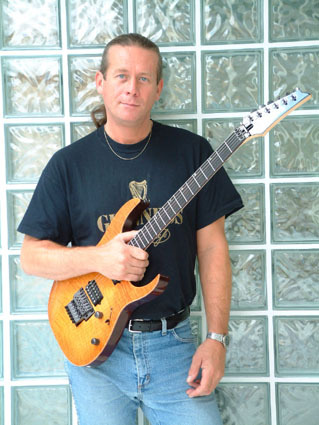 Mark Simkins, who leads the band on vocals and guitar, is a highly respected session musician. On this album, for which he wrote twelve of the thirteen tracks, he takes centre stage and fully demonstrates his considerable talents. He has a good voice and is an excellent guitarist. The general mood of the album is slow, gentle and mellow, and the music is decidedly more rock than blues. The slowly rocking first and third tracks, “Fool To Fall” and “Waitin’ For The Night”, typify the mood of the album, displaying an uncanny resemblance to the guitar style of Out Of The Blue’s Eddie Tatton. In contrast, “Nice And Slow” has a funky feel about it and the title track, “Steppin’ Stone”, is an upbeat R&B number. The album closes with more contrasting styles: “Perfect Love” is a slow ballad, “Bad Things” an upbeat blues rocker and “Shades Of Blue” a melodic instrumental. 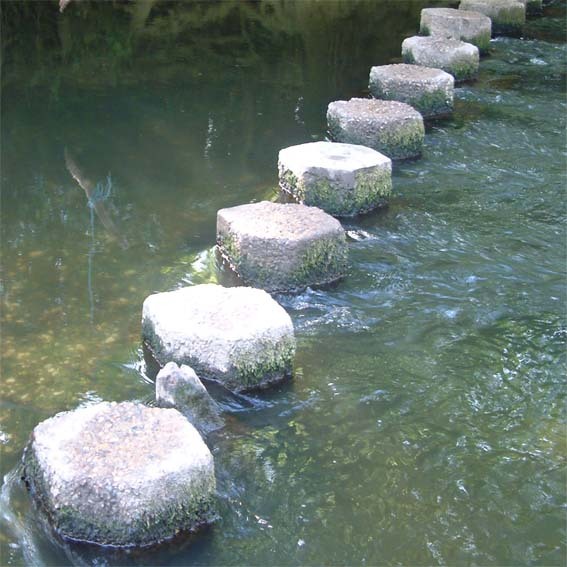 It is a very enjoyable and well-balanced compilation. Born in Clapham, South London in 1959, Mark didn’t pick up the guitar until he was 20. He started out playing and in local groups "The Feel", "Ouch" and "Chippy Mintons Revenge" after this period of change and development he formed his own Band Jinnhouse. Jinnhouse started out by playing mostly covers until Mark started developing his own song writing ability. Jinnhouse are still going strong, performing a mix of original material, classic rock and blues numbers. The Mark Michael Band is the future for Mark. Marks influences include Rory Gallagher, Wishbone Ash. Steely Dan through to Larry Carlton, Lee Ritenour. 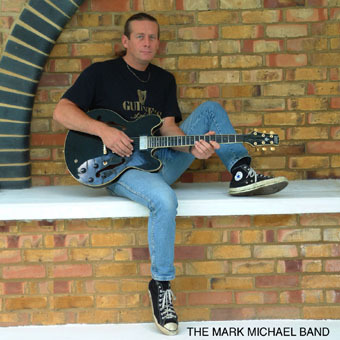 Mark has worked with a number of other bands which include, The John Slaughter Band, AAA, The Glitter Band and for 10 years a main member of the The Paull Cox Band.